Serves about 2-5 people depending on how much you cook/make. I recommend the amount of batter for about 2 cups of veggies. So simply double/triple the batter if you are cooking more! Slowly heat up your frying oil to about 335°F/170°C. Heat it up slowly so it does not spit! Take everything for the batter and mix it stirring rapidly. The trick is to NOT let this reach room temperature. In fact, between frying batches, put the batter in the fridge. When you are ready to make the next batch, simply take it out, stir it quickly, and then dip away! Test the oil once it reaches temperature by dipping a fork or chopstick in the batter and drop a few drops of batter into the oil. If it floats, then you’re ready! Begin by dipping your veggies in the batter and then plunge them into the oil. They would be in there for about 3-5 minutes and then it will be done. Honestly, the lower times are for thin things like mushrooms, carrots and onions. The larger times are for broccoli, squash and roots. Test a piece of each out to see how your fryer or pan works the best and adjust time as you need! Once they have cooked all the way through, place them on either a cooling rack or paper towels to drain excess oil. Once you have fried everything and it’s cooled, dig in! And there you have it! 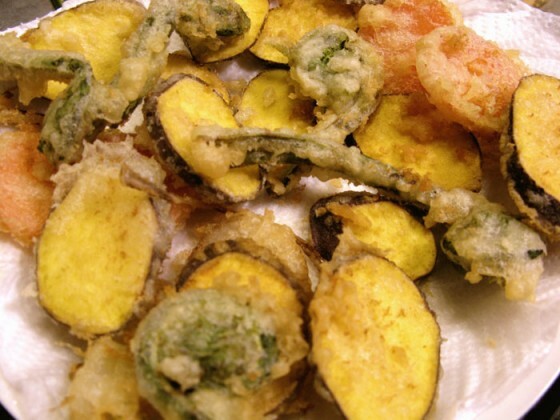 Tempura, like stated above, goes great with karaage as a dinner with some rice. It also goes well in bento! 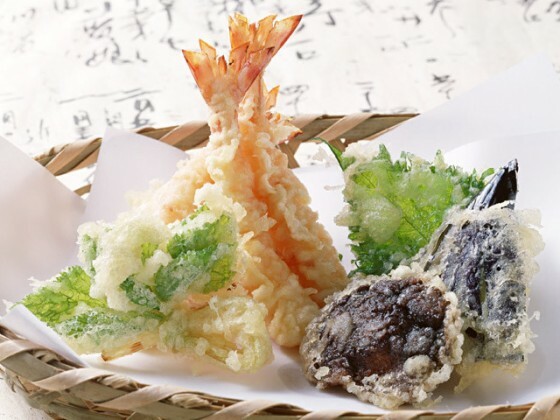 Tempura and karaage are staples together. We are sure that you will find veggie tempura more agreeable to regular veggies because they turn out a bit more sweet when cooked this way! Once could…. Say make the karaage from above and while it’s marinating, cook this recipe and then use the hot oil to cook the karaage afterwards.